Mechanix Wear� gloves. The Tool That Fits Like a Glove! Since the debut of our first high performance work glove at the 1991 Daytona 500, Mechanix Wear� has built a reputation as a leader in hand protection. As a result of over twenty years of research, development, design and innovation, Mechanix Wear� offers a diverse line of gloves delivering superior fit, feel and function to your hands. Our mission is to look beyond conventional ideas and continually innovate in the high performance glove category. 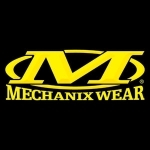 Mechanix Wear� gloves, the right tool for the mission! .